Spend some quality time with that special someone this Valentines Day. Wild Thyme brings you a Valentine Special Buffet for the couples. Enjoy the meal with a romantic setup and indulge in long conversations with your loved ones. Pamper your loved one with special meal and enjoy special cocktails as you spend a soothing evening of togetherness. 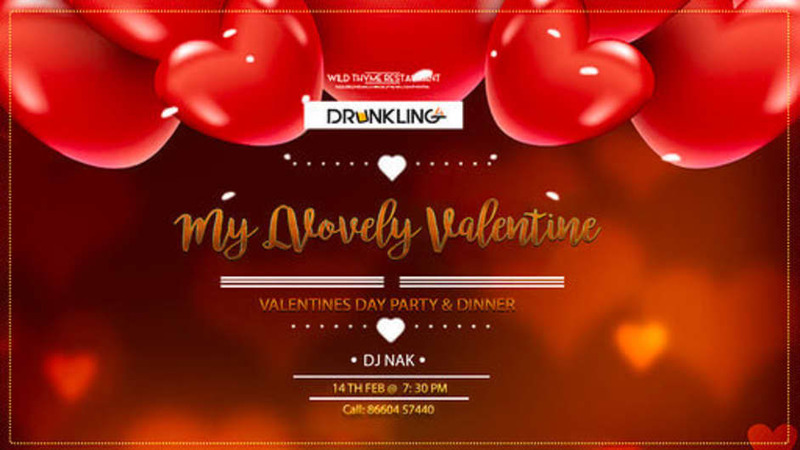 Couples looking for a scintillating evening, head to Drunkling for a special Valentine’s Night Party. Match the steps with your partner as DJ Nak sets the mood with killer beats. Sip some sizzling drinks from the menu and groove away the night.